Sarah Roberts worried what her husband would think when doctors announced that their son had Down syndrome. Roberts told the Daily Mail that she felt her world was over when doctors gave her the news about their newborn, Oscar. Tests revealed that Oscar had two holes in his heart, and doctors immediately put him on oxygen. 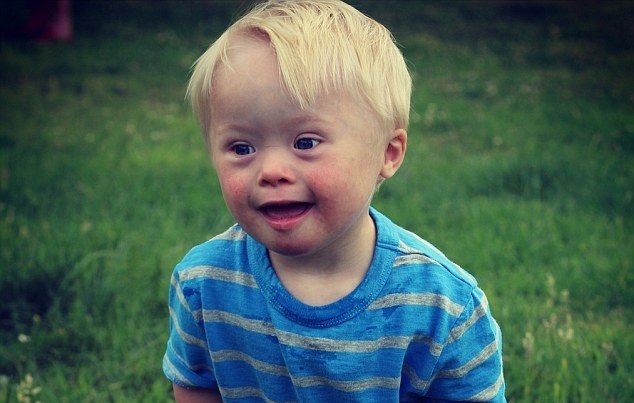 Later tests confirmed that Oscar did have Down syndrome, according to the report. Roberts said she worried that her husband, Chris, and the rest of their family would treat Oscar differently because of his disability. But the family quickly loved and accepted Oscar. Sarah Roberts admitted she was the one who struggled the most to adjust. It wasn’t until ten months later when Oscar had to undergo heart surgery that Sarah Roberts fully realized how much she loves Oscar, according to the report. “We were so scared that we might lose the baby that over the past ten months we had fallen in love with,” Sarah explained. The surgery went well; and, now at age 3, Oscar is thriving. He communicates both with words and sign language, according to the report. His mother said Oscar dotes on his baby sister and is a “partner in crime” with his brother. Many babies like Oscar never get the chance at life outside the womb. As LifeNews previously reported, 90 percent of women who receive the prenatal diagnosis that their child will have Down syndrome end their baby’s life through abortion.